Here in late December through March Organic Pummelos are in season from California. 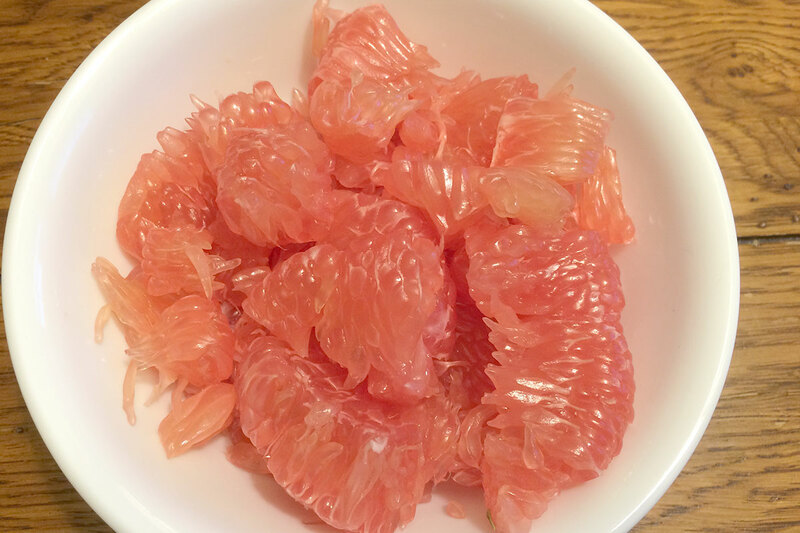 This jumbo-sized citrus fruit with mild and sweet grapefruit flavor is a fun one to try! What’s it like? Pummelo tastes like Grapefruit with less acidic bite. The pink cells within the sections are sweet, mild and flavorful, plus they are easy to break apart from the membrane without smashing to use as a topping or as a refreshing snack. 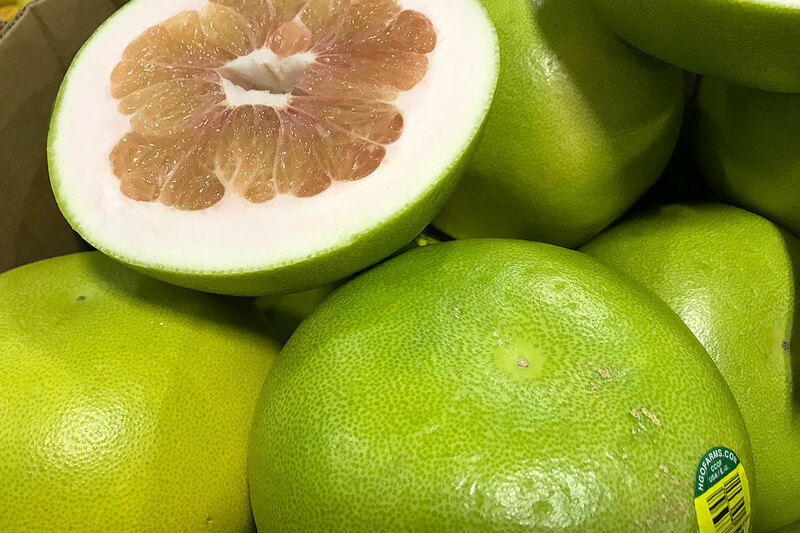 Oh, and there’s the skin… a lot of it too – it gives off a wonderful tropical citrus aroma and is extremely thick. Yes, they take a while to peel, but if you already paid a pretty penny for one – just take your time and enjoy the entire event. 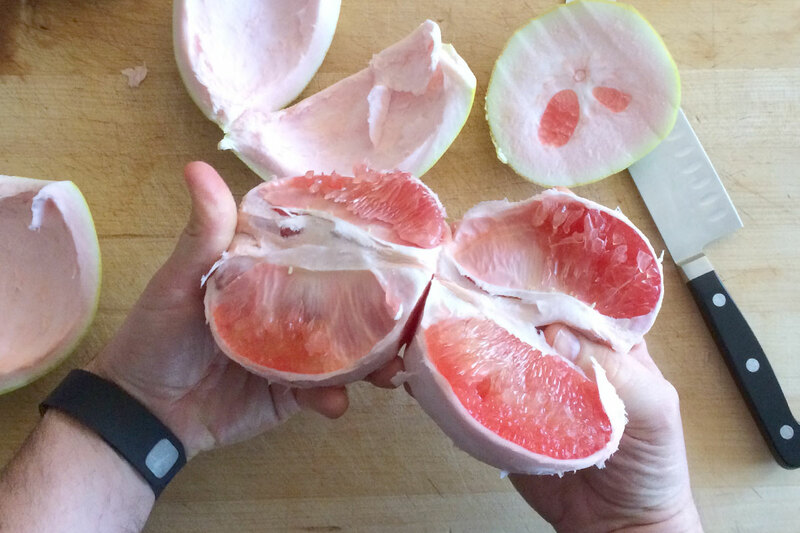 The prize inside the thick-skinned Pummelo is the mild, grapefruit-like cells that easily separate. They’re great for snacking, smoothies, adding to salads and citrus salsas. 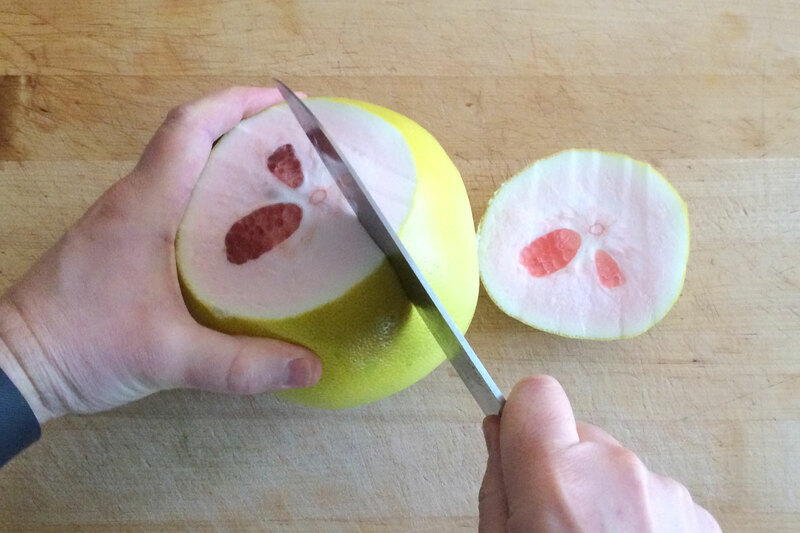 Slice off rind at the top of the Pummelo by the stem end. Score the skin with 4 cuts from the cut top to the base, but not all the way around. 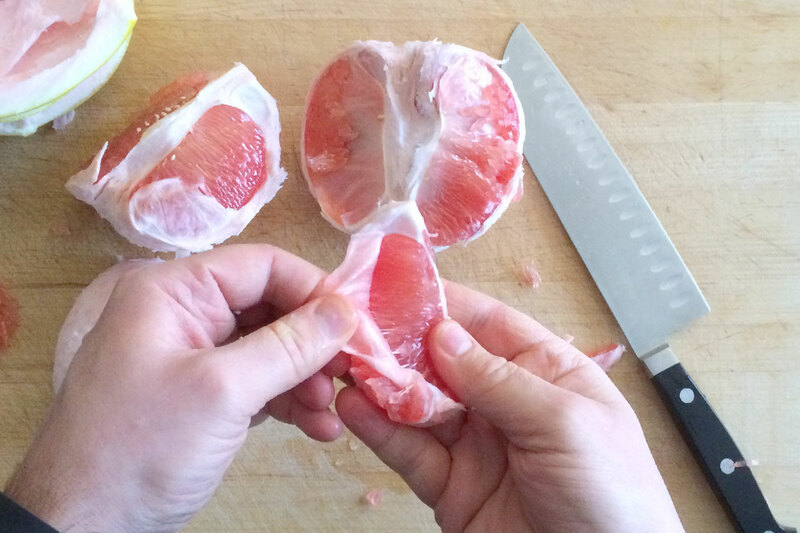 Pull the rest of the skin off the fruit using your fingers to separate the rind from the pith. Break the fruit into sections. Slice the tops off the segment and pull off the membranes. 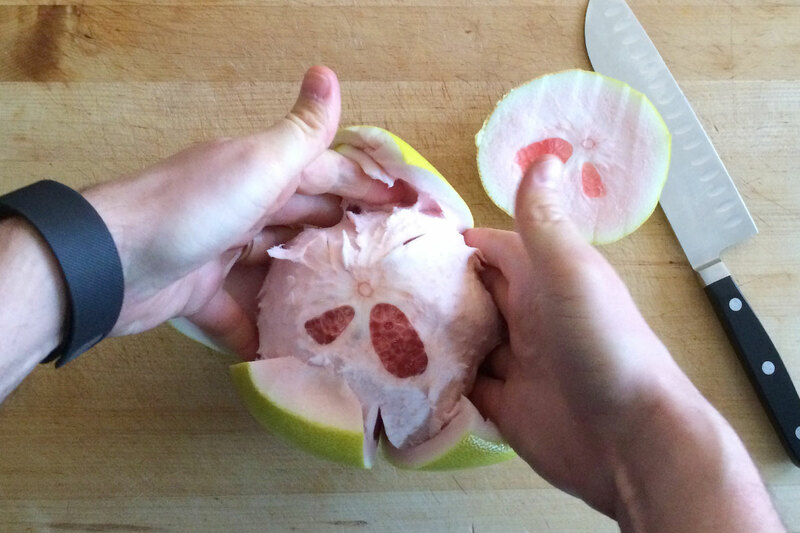 Eat the Pummelo sections whole or break apart the cells to use as a fruit topping for salads or an ingredient in a recipe. 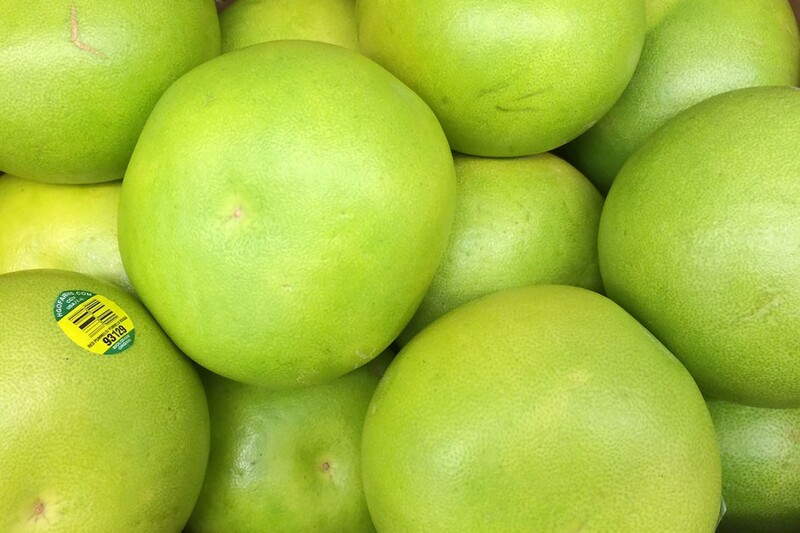 What is a Pummelo (or Pomelo)? 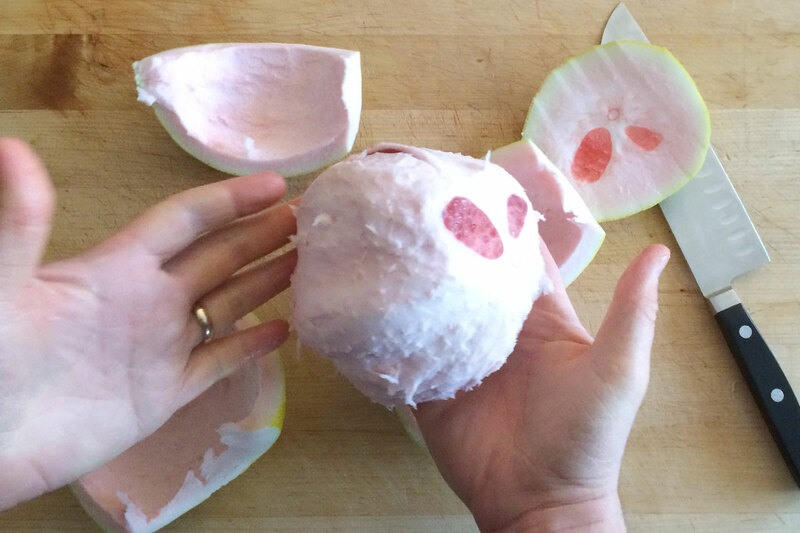 Jon cuts one of these massive citrus fruits open and talks about what it’s like.